FAIRFIELD -- Police in Fairfield, Connecticut, are investigating the discovery of two dead skunks with a sign reading "Obama Stinks." Police first received a call about the incident Monday morning. 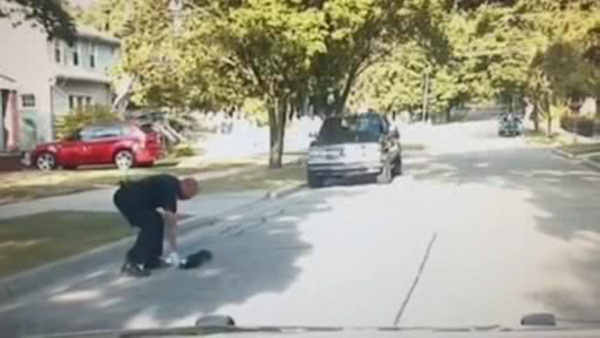 Upon arrival at the corner of Park Avenue and Jackman Avenue, officers found two skunks. The first was found with heavy string wrapped around its neck and was nailed to the pole about 4 feet from the ground, according to police. The second skunk was found at the base of the pole under the first one. Police say above the dead skunk on the pole was a laminated 8" by 11" paper color sign that read Obama Stinks. The sign also included an American flag with a hammer and sickle in place of the stars. Anyone with information is asked to contact the Fairfield Police Department at 203-254-4800 or Animal Control at 203-254-4857.